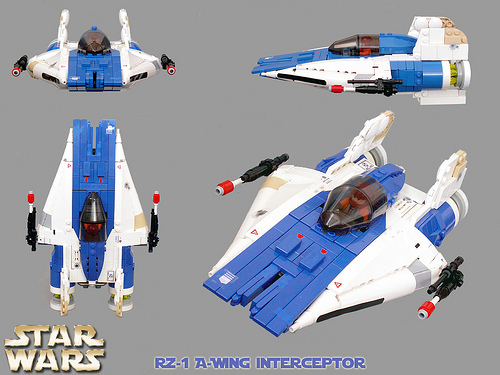 Jarek (Jerrec) has updated his red A-Wing to match Ralph McQuarrie’s original blue color scheme. With all its curves, angled tail fins, and that strange gap in the nose, the A-Wing is an especially challenging starfighter to build with LEGO. Jarek does an amazing job at minifig scale to capture the shape and details.